Is Germany’s Otto Group mulling an eventual listing for its fast-growing fashion unit About You? According to the German press it is, although it's also clear that the group would not consider a listing for family-owned Otto itself and that any About You stock exchange move is some time away yet. A report in Welt am Sonntag quoted supervisory board chairman Michael Otto saying the company would consider an About You listing further down the line once the brand has got bigger. That admission comes after Otto, a giant group that includes both retailers and retail services firms, said in 2017 that it had hired Goldman Sachs to find a partner to buy a stake in the About You business in order to provide funds to drive its international growth. Michael Otto stressed again at the weekend that the company is still seeking a strategic partner for e-tailer About You with the firm interested in bringing either a retailer on board or a more financial-focused investor. About You is an interesting retail business. Selling online, it targets Shoppers aged 20 to 49 and serves them with a personalised selection of the more-than-150,000 products from the 1,000 labels that it sells. With personalisation being the next big thing for retail, that makes it one of the most forward-looking e-tail businesses out there. It’s 94% owned by Otto with ProSiebenSat.1’s Seven Ventures and Berlin-based German Media Pool holding the other 6% at present. Last year German newspaper Boersen-Zeitung valued it at around €320 million after an early financing round. Its status as one of the most closely watched of Otto’s many businesses underlines the importance of e-commerce to the German firm. Otto has just said that its global online revenues rose nearly 11% in the latest year to reach €7.8 billion, with About You being one of the key drivers of this growth. It's helping to maintain Otto's position as the second largest e-commerce player in Germany and one of the worlds biggest too. In the 2017/18 year, About You achieved better-than-expected results with revenues up 110% to €283 million, easily beating the group’s original target of €250 million. It's targeting sales of €1 billion within five years. 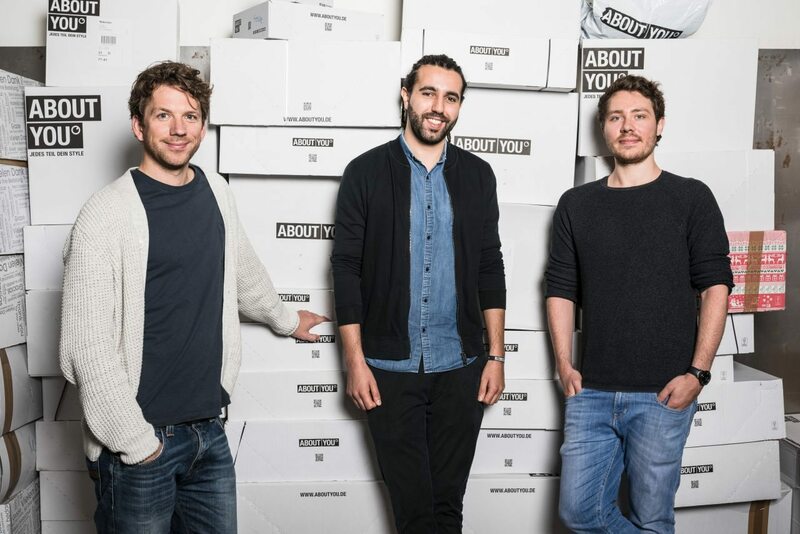 About You currently operates in Germany, Austria, Switzerland, Poland, the Netherlands and Belgium, with the business having added the Netherlands as a new market only last summer.